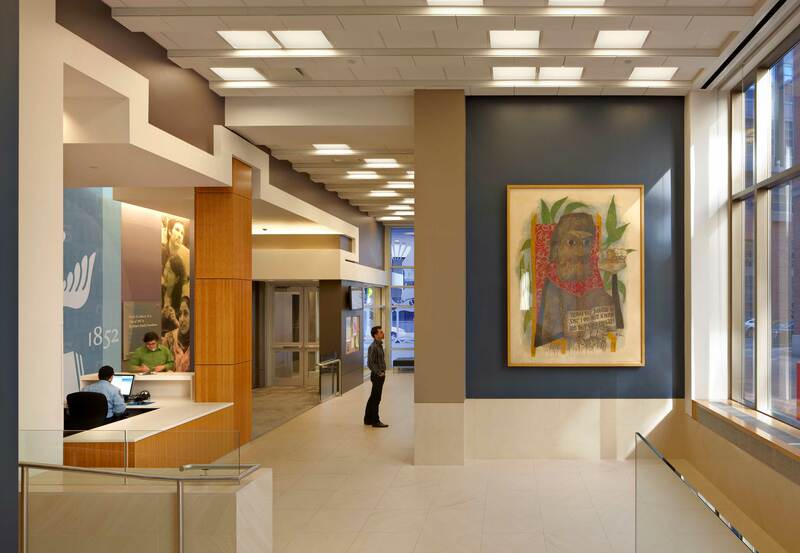 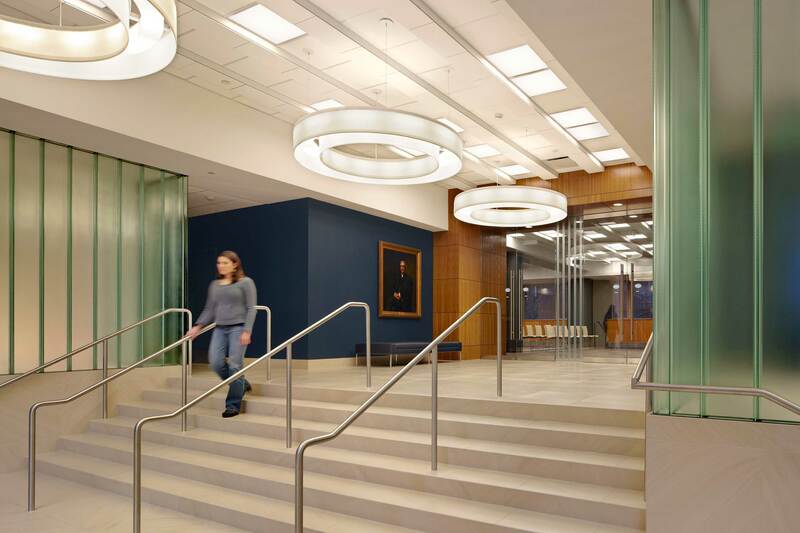 The Sackler Center was renovated with the intention of creating student-focused social and academic spaces. 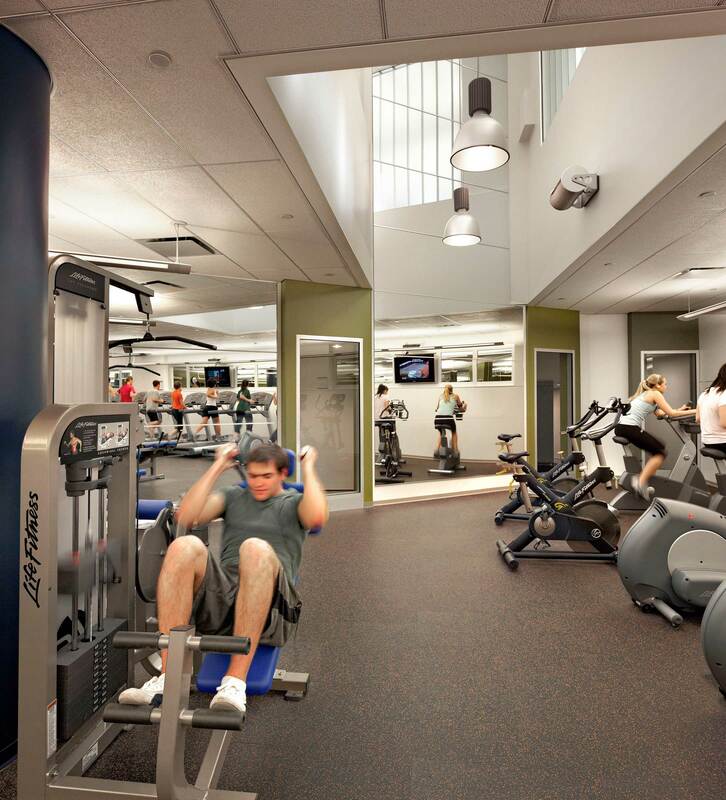 Academic and social spaces including a fitness center, café, and multi-media lounge were expanded and modernized. 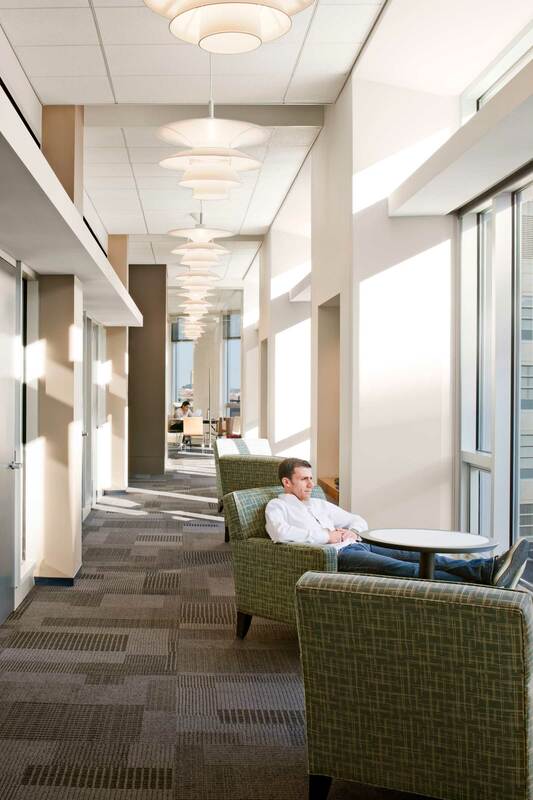 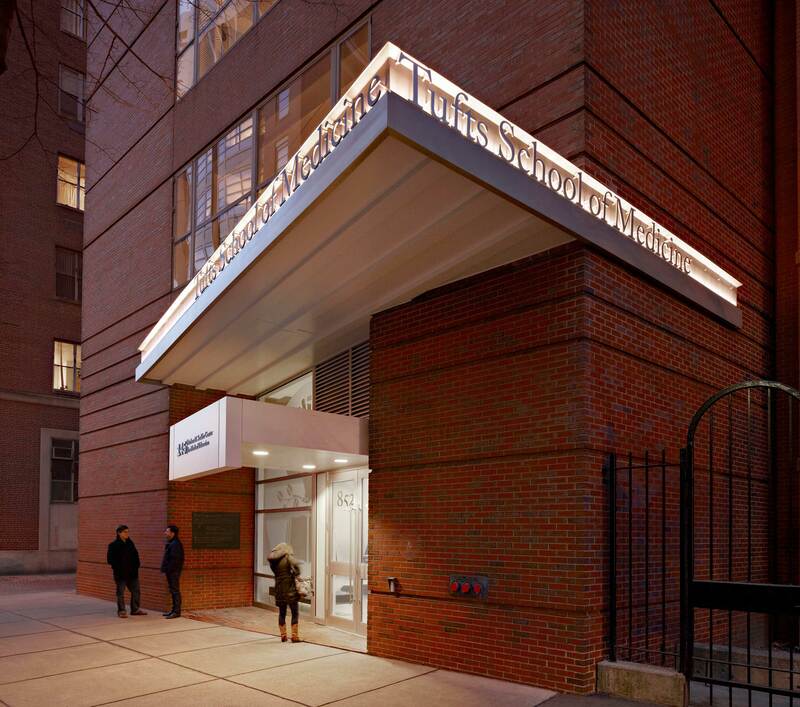 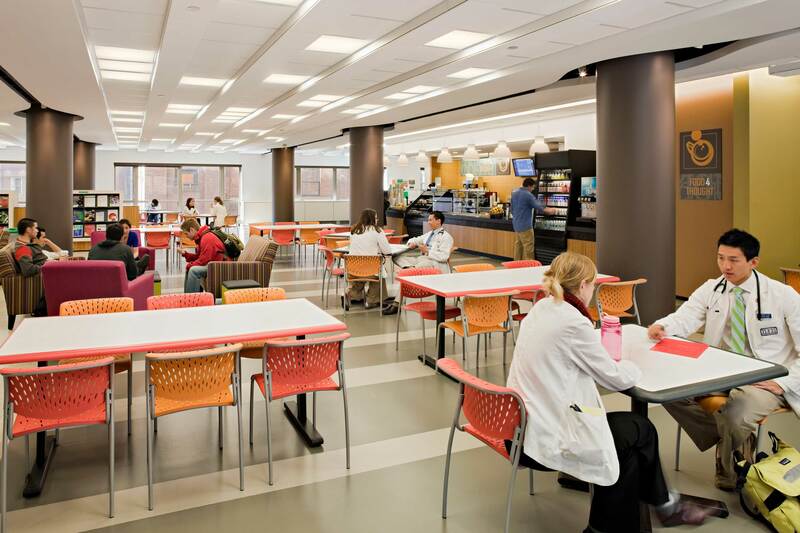 Located on the fourth floor, with direct access to the Tufts Medical Center, is the new library/café which serves as the social gathering space for the medical school community. 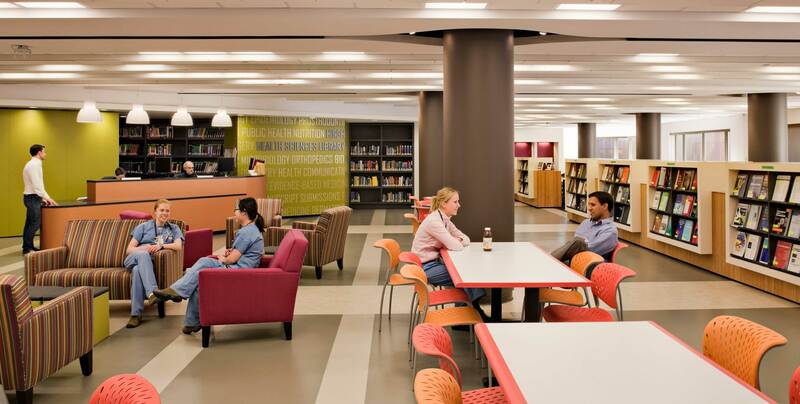 With a combination of table and lounge seating, this central space is constantly animated with students, residents, faculty and staff. 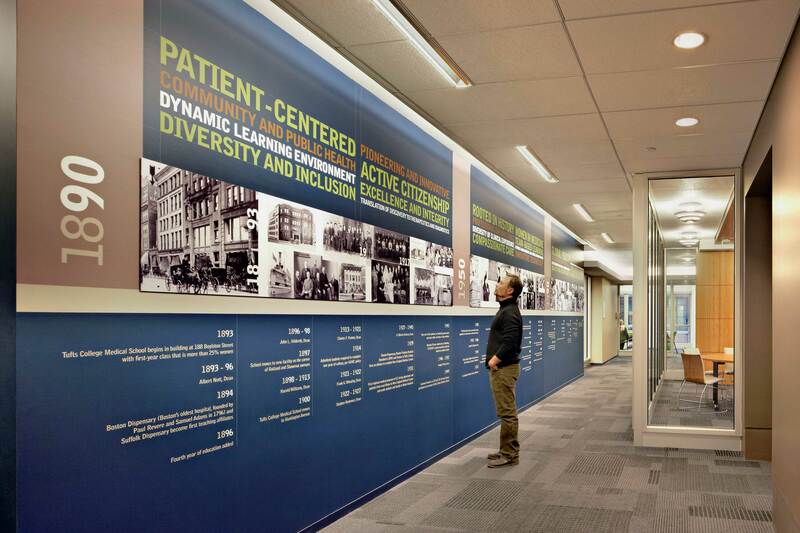 The design approach for materials, furniture selection, and color palettes reflect the complexities of this vibrant, forward-looking, and functionally-minded medical community. 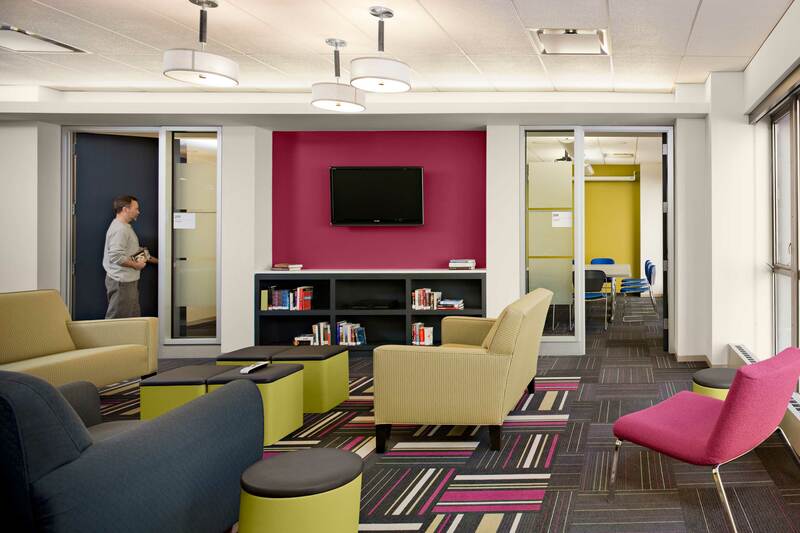 The academic spaces and conference spaces were programmed around four individual learning communities which provided the framework for the entire renovation.